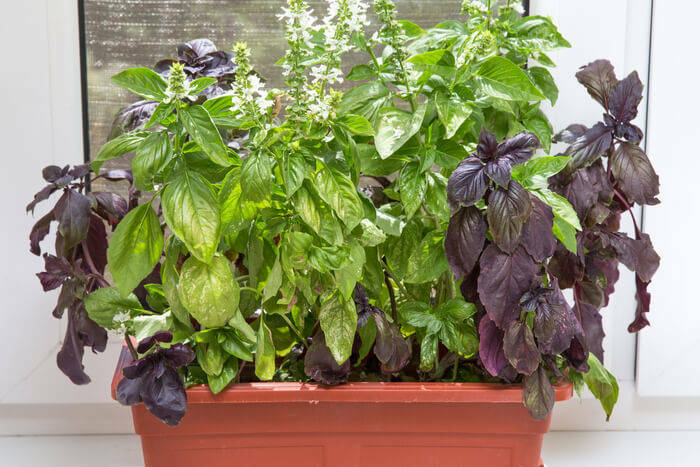 There are many reasons to grow basil indoors. It’s protected from the rough elements, you control the light and water completely, and there are no pests to eat your herb! Maybe you live in an apartment, or don’t have any more room in your garden. We are here to help. 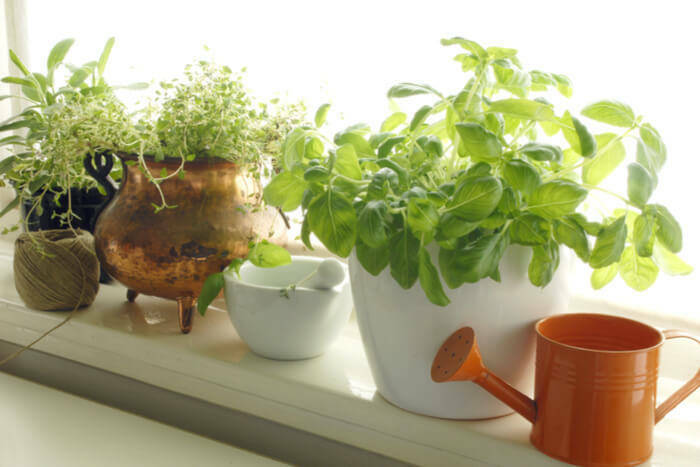 In this article, you will learn how to plant basil on your windowsill. Not only that, but we will offer you some tips and tricks on how to take care of this delicious edible as well! Literally anyone can learn how to plant this herb and take care of it. 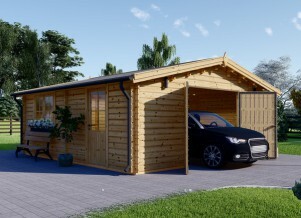 The cost is minimal and it only takes about half a day to complete the project. Afterward, you will have fresh, aromatic, delicious basil! The first step is to choose a windowsill that gets full sun. The key to growing large, healthy leaves is 6-8 hours of sunlight and moist soil. So, don’t underestimate the importance of choosing the right place to put your pot. 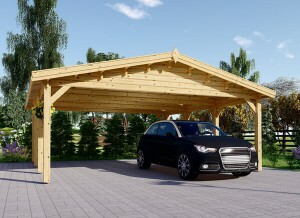 You can even use a window in your wooden garage. Are you starting seeds or purchasing a seedling? If you are going to use seeds, use the seed-starting mix. You can also do a 50/50 combination of potting soil and seed-starter. You can also mix potting soil with perlite for the same effect. Remember to never start seeds in garden soil. Garden soil should only be used on plants that have been started. 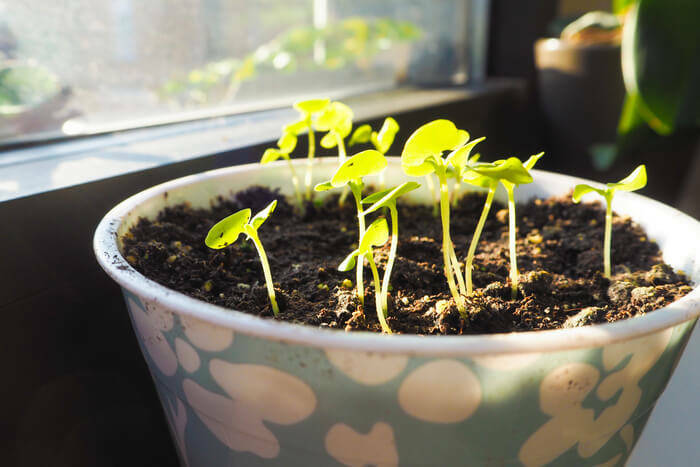 If you buy seedlings or a growing plant, you can use garden soil or potting soil. You can even use a mixture of the 2 if you’d like. Simply transplant the basil into the new pot. Just be sure to choose a container that is a size bigger than the herb currently is. That gives your basil plenty of room to grow. After planting, water thoroughly. Whether you use fertilizer the first time is up to you. Any water that collects on the saucer should be thrown out. Do not allow the pot to sit in a full saucer. This only encourages root rot. As your plant grows, make sure to turn the pot every few days. 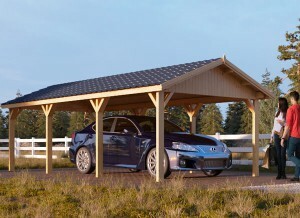 This will distribute the sunlight evenly. Remember, greenery grows toward the sun. That means your basil will grow large, full leaves on all sides instead of budding unevenly. If you don’t have a full-sun windowsill, you can use a grow light. All you have to do is keep the light 6 inches above the basil. It will need to be on for 14 hours a day which is the same as 6 hours of real sun. In between watering, you need to allow the top 1-inch of soil to dry out completely. This is the perfect amount of moisture for this plant. While basil does like to stay moist, it also needs to be able to drain well. Basil likes a moderate level of humidity in the air. If you live in a dry place, or are trying to grow during winter, you will want to keep the leaves moist. There are a couple of ways you can do this. You can mist the leaves with room temperature water throughout the day if you have the time. Or, you can sit the pot on top of a tray of wet pebbles. This produces enough humidity to keep the basil comfortable for a while. When rocks dry out, repeat. In late summer, your herb will try to flower. It’s important to stop it. Go ahead and nip it in the bud by pinching off the flowers with your fingers. This will help the leaves keep their flavor as well as extend it’s life. Plus, you will get about half a cup of basil out of it! In the height of growing season, you need to remove the leaves as they mature. That will be about once a week. Luckily, you can freeze basil to preserve the flavor perfectly. Before doing anything, give the leaves a light wash and then pat them dry. Chop them up for easier use. You can also dry basil. First, cut off the excess stem. Then, put them together in 1-inch groupings. Afterward, tie them with string and leave a loop at the end. Finally, you get to hang them up! 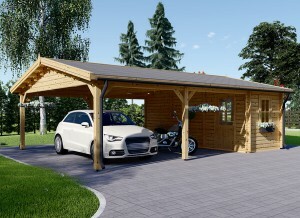 Make sure it is a dark, cool, and dry place. No matter where you decide to keep your basil, the temperature needs to be between 60 to 75 degrees Fahrenheit. This means no letting the leaves touch the windows! It also might mean keeping a heat lamp on hand just in case. Basil is the kind of plant that tends to branch out and become leggy. Since you don’t want this to happen, you need to pinch back the branches to keep them shrubby. Plants that are shrubby tend to focus all of their energy into growing healthy leaves as opposed to growing new branches. Between growing up a seed and planting an adult plant, there is a middle ground. This is a cutting. 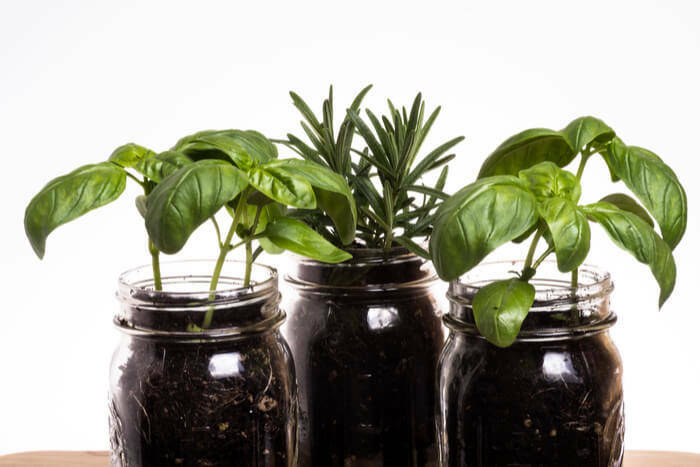 You can easily grow basil roots in 1 week by placing a section of the herb into water. Make sure the cutting is 4 inches long and has not yet flowered. When the roots look healthy, you can put the plant directly into a pot.